Windsor founded as a French agricultural settlement in 1748, is the southernmost city in Canada and is located in Essex County Southwestern Ontario along the Detroit River and south of Detroit, Michigan. Encompassing 46 square miles, Windsor is home to over 208,000 people. Its residents are predominantly English speaking, but Windsor is a multicultural city with diversity and a healthy environment where citizens share a strong sense of belonging and a collective pride of place. Windsor's enjoys one of the world's highest standards of living, great quality of life is reflected in their safe neighborhoods, vibrant cultural districts, formal gardens and walking and cycling trails. The riverfront area of Windsor has been developed into a lush area of parkland that offer spectacular views of the Detroit skyline. Among the warmest in Canada primarily due to its hot summers the climate in the Windsor area lends itself to a picturesque environment, just imagine the natural beauty of having water on three sides of your city! Such is the case in Windsor, as it is surrounded by Lake Erie, Lake St. Clair and the Detroit River. Lots of water sport fun, it is not uncommon to find residents enjoying the summer weather with their boats and water skis, swimming at the beaches, or even taking in a boat tour along the banks of the Detroit River. Great sport fishing is also available – anglers can tell you that walleye, perch, musky and bass are in abundance. 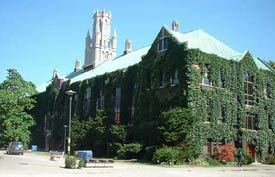 Windsor's nickname is the "Rose City" or the "City of Roses" and the city is noted for the several large parks and gardens found on its waterfront. The Queen Elizabeth II Sunken Garden is located at Jackson Park in the central part of the city. Of the parks lining Windsor's waterfront, the largest is the 5 km (three mile) stretch overlooking the Detroit skyline. Odette Sculpture Park which features over 30 large-scale contemporary sculptures for public viewing, along with the Canadian Vietnam Veterans Memorial. The central portion contains Dieppe Gardens, Civic Terrace and Festival Plaza, and the eastern portion is home to the Bert Weeks Memorial Gardens. Further east along the waterfront is Coventry Gardens, across from Detroit's Belle Isle. The focal point of this park is the Charles Brooks Memorial Peace Fountain which floats in the Detroit River and has a coloured light display at night. The fountain is the largest of its kind in North America and symbolizes the peaceful relationship between Canada and the United States. Windsor's Department of Parks and Recreation maintains 3,000 acres (12 km²) of green space, 180 parks, 40 miles (64 km) of trails, natural areas and forest cover within the city of Windsor, as well as the bike trails, bike lanes, and bike-friendly streets. Immerse your self in the whirl of activities, the events and festivals are numerous and with rich in diversity, from quaint waterfront villages to the richly fragrant vineyards. Detroit is home to four major sporting franchises - several with championship titles! As well, you'll enjoy exciting Jr. A hockey and University level sporting events. Detroit has a steady line up of broadway plays like Phantom, Cats, Chicago, Lion King and more. You'll also enjoy our local theatre companies and University Drama department productions. If you love the symphony, you can't get much better than the top-ranked Detroit Symphonic Orchestra. As well, Windsor's Community Orchestra puts on a great program throughout the year. There are so many festivals in the area that we couldn't possibly list them here. One of the world's largest and longest running fireworks displays happens every summer. As well, there are incredible seasonal and ethnic festivals you can enjoy on both sides of the border. Windsor and Essex County offer many fine golf courses and with a short sprint to Michigan we can use the many fine golf courses there as well. If gaming is part of your lifestyle you'll love Windsor with Caesars Windsor Casino. Detroit also hosts several major gaming establishments where you can enjoy top notch entertainment and dining. Experience world class dining with restaurants that provide a wide variety of experiences throughout the region. Windsor and Essex County are multicultural communities which means multicultural food. The choices and selection of food and restaurants seems almost endless. Escape for the day or just the evening aboard the local river cruise boats that feature site seeing, great dining, and entertainment! Idea for a relaxed and comfortable lifestyle while easing into retirement, a true year-round destination, short-sleeve weather area with long hot summers and moderate winters excellent for active living. Live for Less! Real estate in the Windsor / Essex County area is the most affordable in Ontario - purchasing a home or property here will range 30% to 70% less than in comparable markets. This could represent a huge savings and a boost for your retirement nest egg, enabling your dream house purchase, waterfront beach home, townhouse, condo, or a country farm and enjoy easy access to a recreational playground in an overall warmer climate. Windsor's waterfront real estate is arguably considered some the best within the Essex County real estate market region with its Detroit River and Lake St. Clair waterfront coastlines. Windsor waterfront real estate listings features everything from small cottages to multi-million dollar homes. A modest waterfront home can be purchased for less than $200,000. Condos along the Riverfront are even less, providing you a dream lifestyle of beautiful water views, walks or biking along the waterfront trails and private marinas. Compliments of Ron Klingbyle a full time top producer professional Realtor serving Windsor and the surrounding Essex County Community Area. If you're thinking of Buying or Selling a home, investment or commercial property or relocating to the Windsor / Essex County Area? Contact me I can help, let my consistent, proven accomplishments and lifetime experience in real estate go to work for you. Windsor Ontario Residential MLS Real Estate Free House Home Evaluation Services | Windsor Ontario Commercial ICX Real Estate Free Commercial / Industrial Property Evaluation Services | Windsor Ontario Residential MLS Real Estate Listings - including all homes, houses, condos, townhouses and other residential real estate for sale | Windsor Ontario Commercial MLS Real Estate Listings - including all stores, office space and other commercial real estate | Windsor Ontario Waterfront Lakefront Riverfront Riverview Property, Luxury Homes MLS listings for sale - including all homes, houses and vacant land real estate for sale | Windsor Ontario Power of Sale Properties, Bank Owned Foreclosures, Bank Repo's Real Estate Property Listings for sale | Windsor Ontario Land For Sale - MLS listings for lots and vacant undeveloped land for sale | Windsor Ontario Farms Hobby Farms MLS listings for sale - listings for farms and rural real estate for sale | Windsor Ontario New MLS Listings - All new listings less than 30 days old for sale | Windsor Ontario Featured MLS Listings - all listings marked as "featured" in our data base for sale | Windsor Ontario Open Houses - all future MLS open house events that are scheduled | Windsor Ontario mls real estate homes houses condos townhouses property listings for sale residential commercial | Realtor MLS Windsor-Essex County, Ontario Real Estate Board.